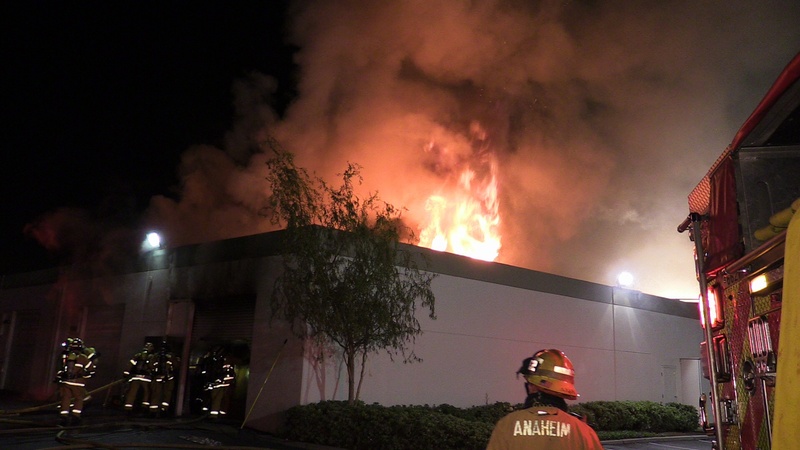 A 2 alarm fire tore through an Anaheim wedding business early Monday morning. The business was located at 700 N Valley and sustained heavy damage. 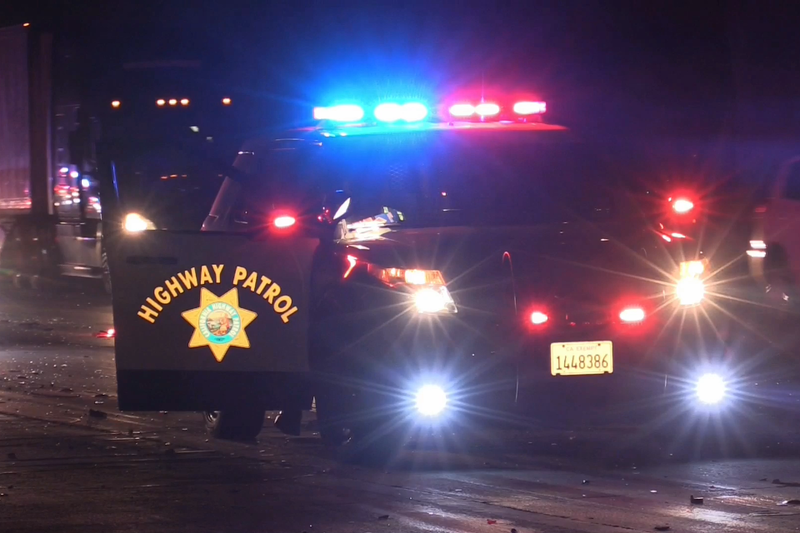 One person was killed in series of chain reaction crashes on the north bound 57 Freeway in Anaheim late last night. 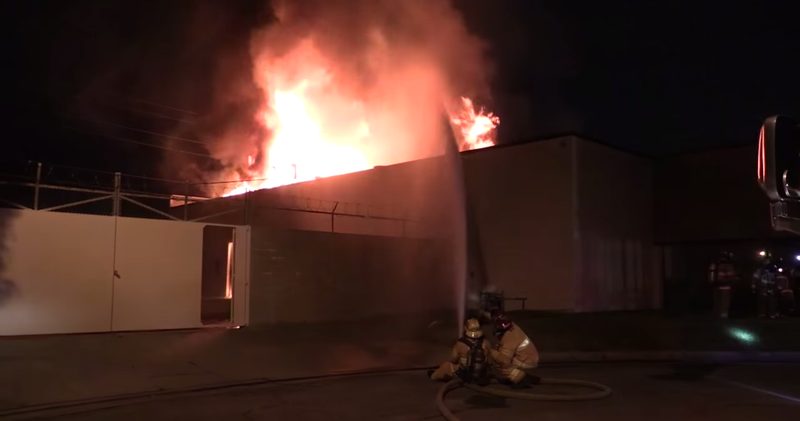 2 Highway Patrol Officers spotted a column of black smoke and found a commercial building well involved in fire in Anaheim. 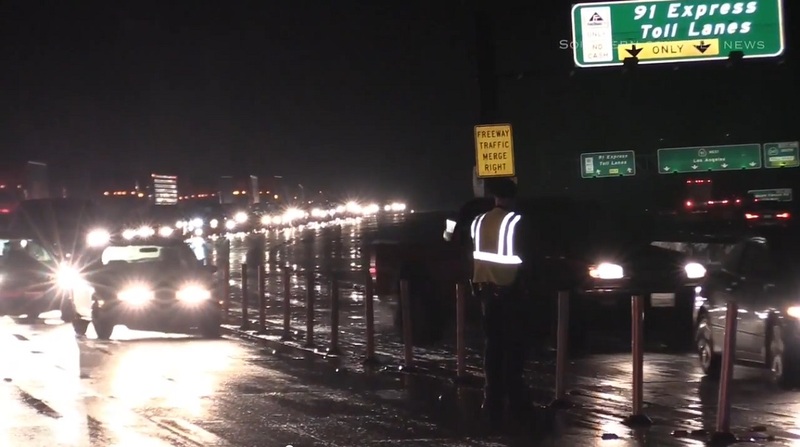 A mudslide ran across all lanes of the Eastbound 91 Freeway in Anaheim, California. 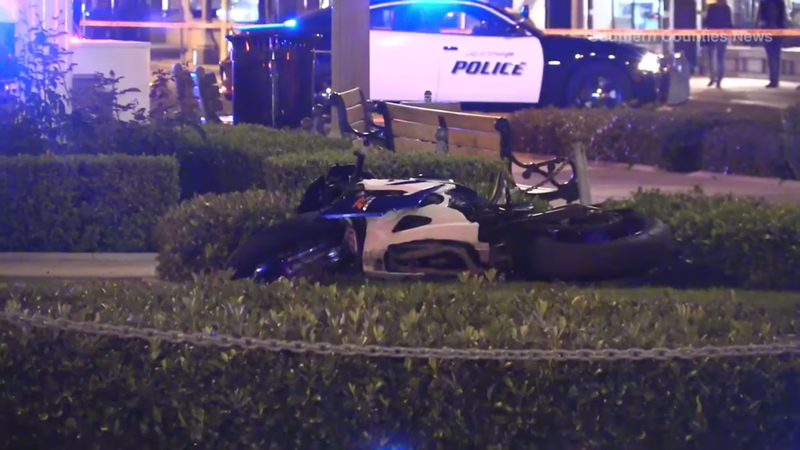 The California Highway Patrol was in pursuit of a high speed motorcycle when that rider cut through the historic Orange Circle in Orange, Ca. The rider lost control and crashed. He died instantly. 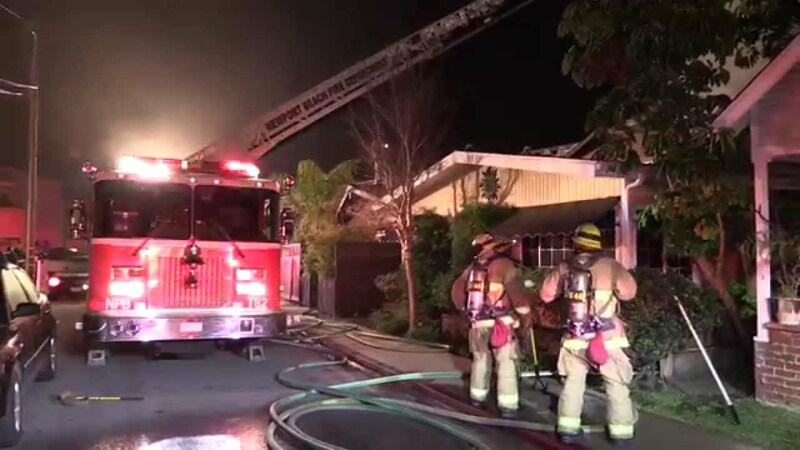 2 ALARM HOUSE FIRE IN NEWPORT BEACH, CA. The residents of a beach house and some of their neighbors were able to escape from a house fire with exposure to other homes. 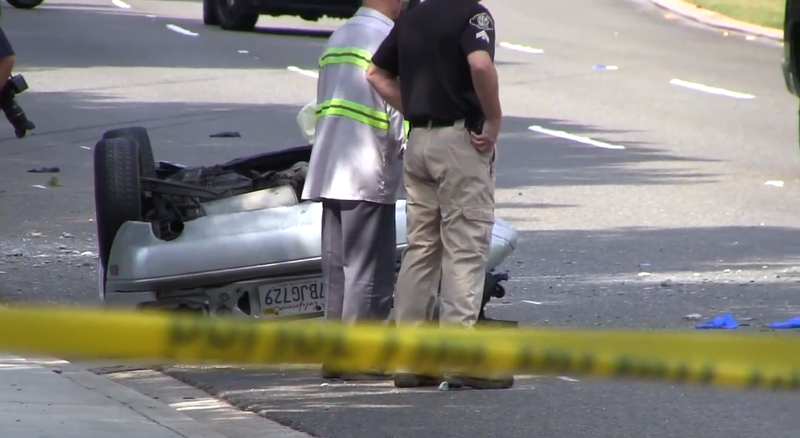 A car being chased by Police at high speed slammed into a row of parked cars then hit a tree and overturned. 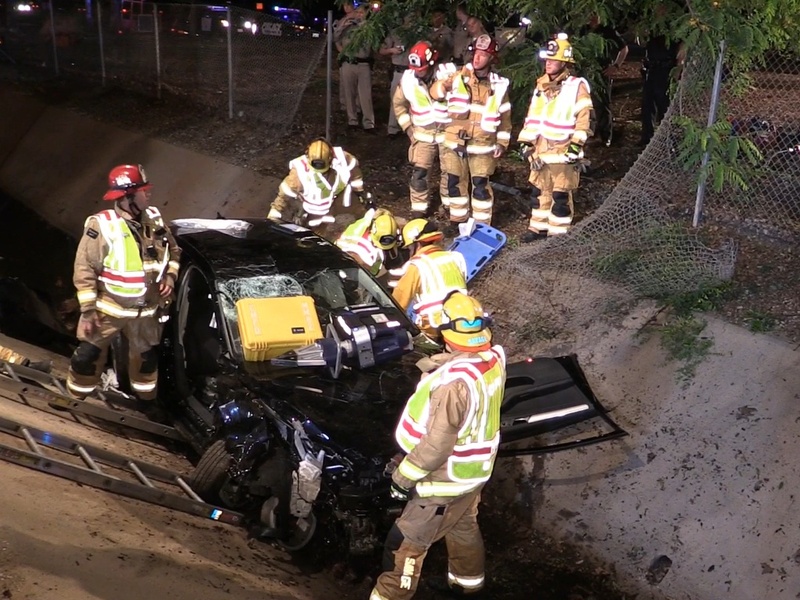 The occupants of the car were trapped inside and had to be extricated by the FD.